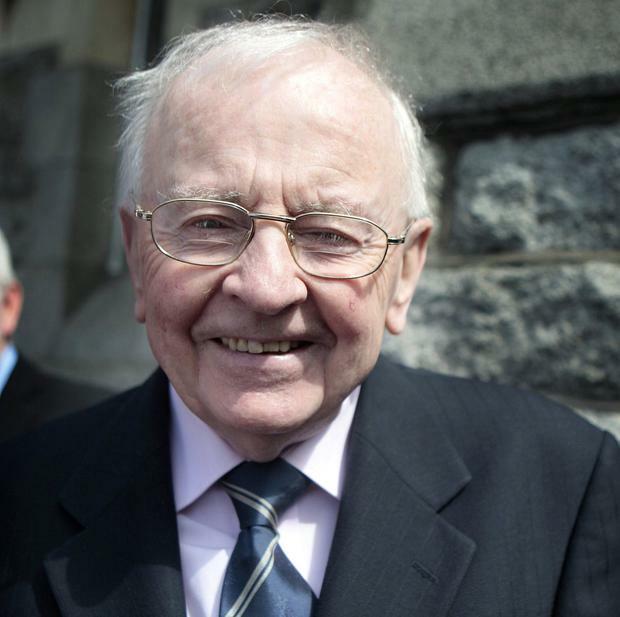 Tributes have been paid to former Fine Gael minister Richie Ryan, who has died aged 90. Mr Ryan was finance minister under Liam Cosgrave as part of the cabinet "of all talents" in the Fine Gael-Labour coalition from 1973-1977. The Fine Gael stalwart went on to be elected as an MEP on two occasions. Taoiseach Leo Varadkar led tributes to Mr Ryan, saying: "Though not having had the privilege to serve alongside Richie, the legacy of distinguished and selfless service he gave Fine Gael, his constituents and the country remains a benchmark for those of us in public service today." Mr Ryan served as a TD in various Dublin constituencies for almost a quarter of a century before going on to Europe. His time as finance minister saw him become a popular target for RTÉ's satirical show 'Hall's Pictorial Weekly' which poked fun at the country's politicians. His alter ego "Richie Ruin" was a regular feature. Speaking after his retirement, he told a newspaper that he didn't have time to watch the show as he was too busy working at a time when Ireland faced numerous economic challenges, not least the oil crisis. He said criticism was part of the job when serving as a minister, adding: "If you don't like the heat, you don't go into the kitchen. Once you're there, you must do your job." Mr Varadkar paid tribute to Mr Ryan's work as finance minister, saying: "During the 1970s oil crisis and the years that followed, Richie proved himself a capable and steady pair of hands during a turbulent economic time." Mr Ryan also served as a member of the European Court of Auditors. Justice Minister Charlie Flanagan said he was very sorry to hear of Mr Ryan's death and described him as "a kind man with a razor sharp wit". Mr Ryan is survived by his children Declan, Cillian, Ultan, Aoife and Bláthnaid. His funeral takes place at the Church of St Therese, Mount Merrion, on Wednesday.